1 ½ cup Shredded red cabbage. 1 cup Shredded savoy cabbage. ¼ Green apple, thinly sliced. ¼ cup Fresh chives, chopped. 1 tsp Natural honey (optional). 2. Place the hazelnuts, combined cabbage, apple and chives in a large bowl. 4. 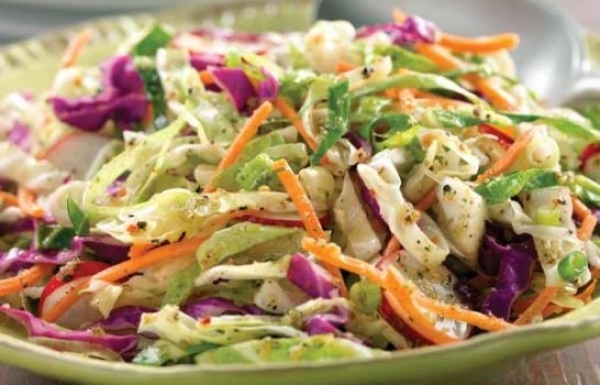 Drizzle the salad mix until well combined.